It’s the Sakura season and this year I’m privilege to be able to view these beautiful flowers right here in Singapore. Last year I flew to Taiwan to view the blooms during a weekend trip in February. This year they were having a Sakura display at Garden at the bay. I took the opportunity to visit the place after dropping Tiger girl off at her kindergarten. I took nearly 250 shots during the hour long visit at the Flower Dome. It was a great time for me experimenting with the different angles that a subject could be positioned and how the lighting bounces off on a given angle. It is really interesting to note that many people were trying to snap pictures with their mobiles rather then traditional cameras. I gave up juggling between snapping pictures on my mobile and the camera as the mobile wasn’t able to give the depth in a picture as compared to a DSLR. I enjoyed studying how different the different types of sakura flowers were and how delicate their flower petals were. It really felt like being in Taiwan or Japan at the park itself looking at the flowers. I hope that next year I will be able to fly to Japan to see the Sakura during Spring. Have you gone Sakura viewing before? Sharing the ride with a sibling or more is certainly more interesting then going on it alone. 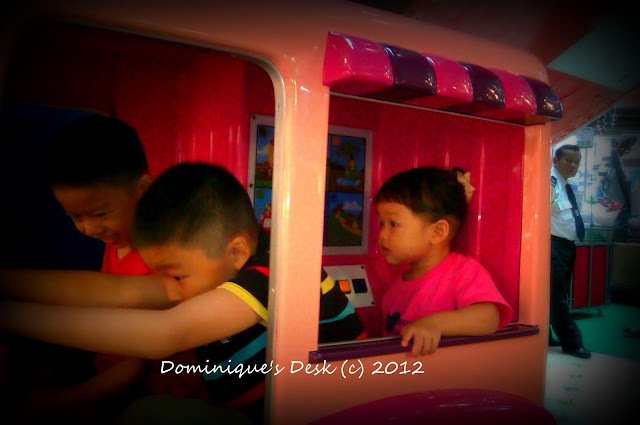 The kids love kiddy rides and can’t wait to go on them each time we visit a shopping centre. However most rides which we come across are design for one or most two kids to go on it at the same time. I normally hesitate to let the kids go on single rides as it can be extremely costly if I have to spend $3 on the same ride for all three kids. The best bargain I got for that day was this bus ride for $1 where all 3 kids could go on at the same time. Cool ride isn’t it? 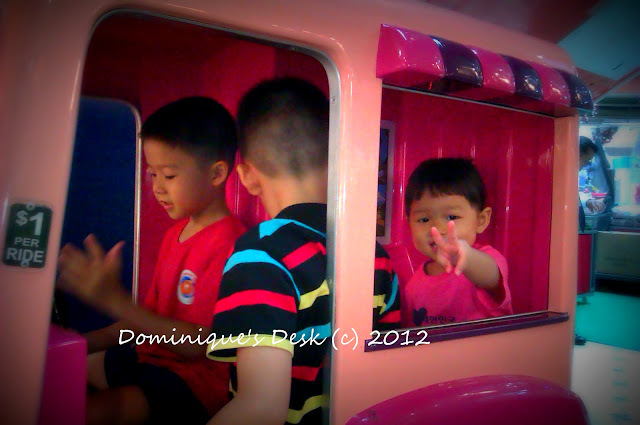 Do you kids love kiddy rides too? Join us this week for Wordful Wednesday. Add you link in the linky below. Feel free to grab the button from the sidebar. Do note that right click is disabled on the blog and you need to control-C-Click to save the code instead.